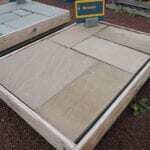 Bronte Walkway and Patio Stone - Looking For Something Different? 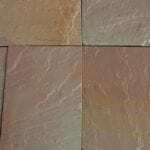 Bronte Walkway and Patio Stone is different than any other stone we offer. The colors are extremely hard to describe but after a rainfall, when the stone is wet - the colors are almost metallic. Like a bubbling broth of copper, brass with gray tones. The stone is absolutely beautiful and unique. We have matching stone steps. Bronte Walkway and Patio Stone could be particularly appealing around a spa or hot tub area. The stone is textured so it is not slippery. Looking for something different? Bronte Walkway, Patio Pool and Porch Deck Stone could be it! Bronte walkway and patio stone. A uniquely colored walkway and patio stone with a slightly rough surface. Primarily brown, tan, rust, and gray. Highly variable, can be very colorful. Striking when wet. A slightly rough surface that is not slippery. Pieces are cut to exact dimensions so coverage is dependent on how much you buy. 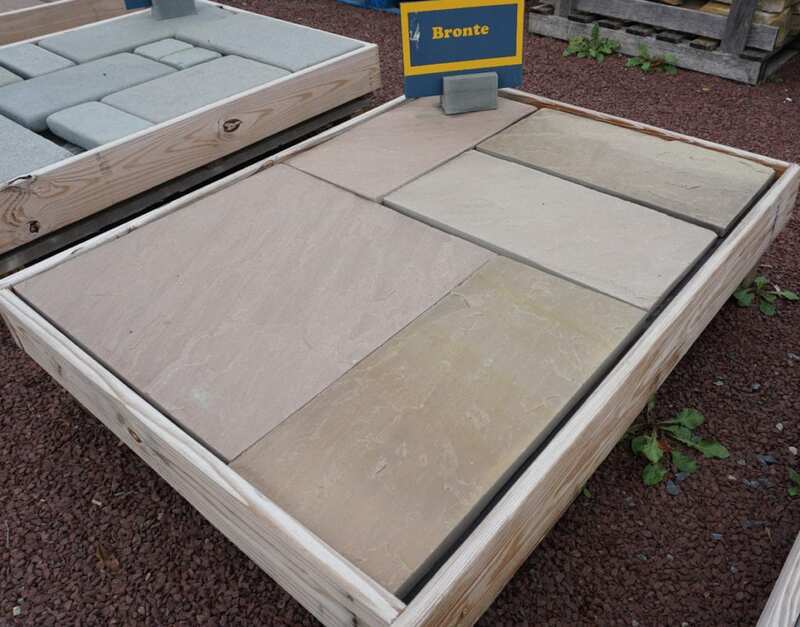 A typical pallet of 1.5" Bronte will cover an average of 180 square feet. 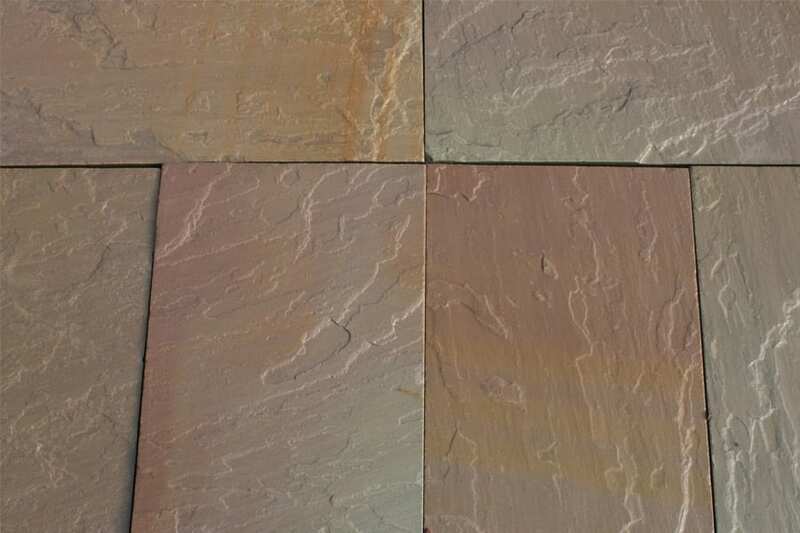 A uniquely colored walkway and patio stone selection from Wicki Stone. Colors are not easily described. Can be any combination of gray, tan, rust, copper and brown. This is easy stone to work with. The unique colors of Bronte are shown in this photo. The stone is striking when wet.